…the quick notifications from students reinforced the reason why I joined Muppies: to build Muslim professional leaders from avenues of networking, mentorship and career development opportunities. The swarm of thank you notes that had entered my inbox from the earlier workshop left me with a feeling of accomplishment. 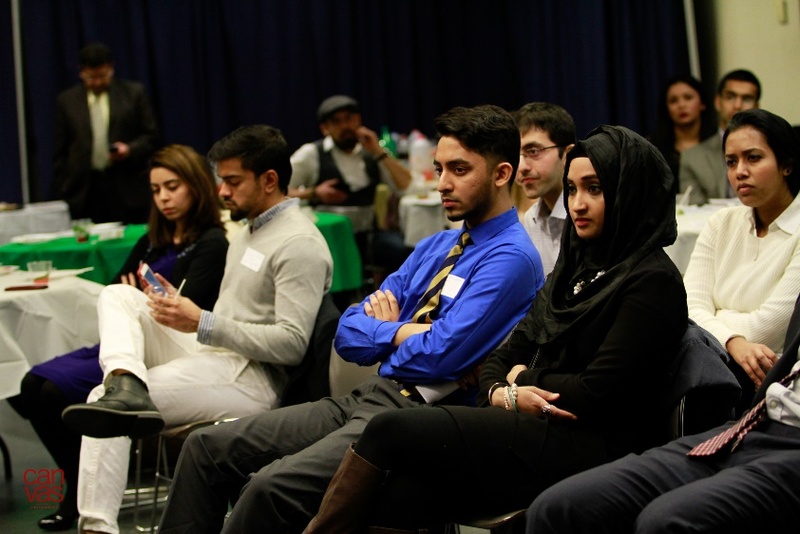 Earlier this month, Muppies NYC had the fortunate opportunity of partnering with CUNY- Baruch College for a continuation of the Preparing for the Real World Workshop series. While preparing for this event took many weeks and constant communication, the quick notifications from students reinforced the reason why I joined Muppies: to build Muslim professional leaders from avenues of networking, mentorship and career development opportunities. Typically, the students that attend Muppies NYC events stem from elite schools in the area such as NYU or Columbia; however, an individual’s college does not dictate nor reflect their intelligence level or their capabilities. Growing up in NYC, I’ve seen first-hand how hard it is to have attend high-ranked education institutions if one’s track record of success is not consistent, and I believe that there are many high caliber, quality students that Muppies NYC hasn’t been previously been able to reach out to. This inspired me to partner with CUNY-Baruch to hold Muppies NYC’s first hold a job-search workshop for students specifically designed to help them network and seek guidance from Muslim professionals. With the help of Sikandar Hashmi, a Baruch alum and fairly active with Muppies NYC, we leveraged the Muppies community and our personal networks to find 20 Muslim professionals of various backgrounds to serve as facilitators for the evening events (mock interview, resume critique and panel). Panelists were strategically selected to show career diversity with individuals ranging from analysts to mid-level managers/professionals. This strong participation from Muppies members illustrates the commitment we have to empowering the Muslim student community and truly embodies the spirit of Muppies to serve as ladders for one another and support professional growth in the Muslim community. Each of the facilitators were very hands on with the students as they redlined their resumes, provided constructive feedback on interview rounds and answered personal questions concerning work-life balance. As I walked about the tables listening to the conversations between the facilitators and students, I was captured by how prepared these students were with knowing who is in the room and which professional they wanted to encounter. By the time we had our panel discussion, the students had already known which question to probe and to which speaker. Our night ended with a post-networking reception as students continued their conversation with respective volunteers. It was due to the Baruch security guards that we had to end our night (running 45 minutes over-time) and relocate our informal discussion in the Baruch lobby! This strong participation from Muppies members illustrates the commitment we have to empowering the Muslim student community and truly embodies the spirit of Muppies to serve as ladders for one another and support professional growth in the Muslim community. The workshop’s success is reflected by the strong level of interaction between students and facilitators, the positive feedbacks received from volunteers post-workshop, and the multiplicity of thank you notes received by the hosts. 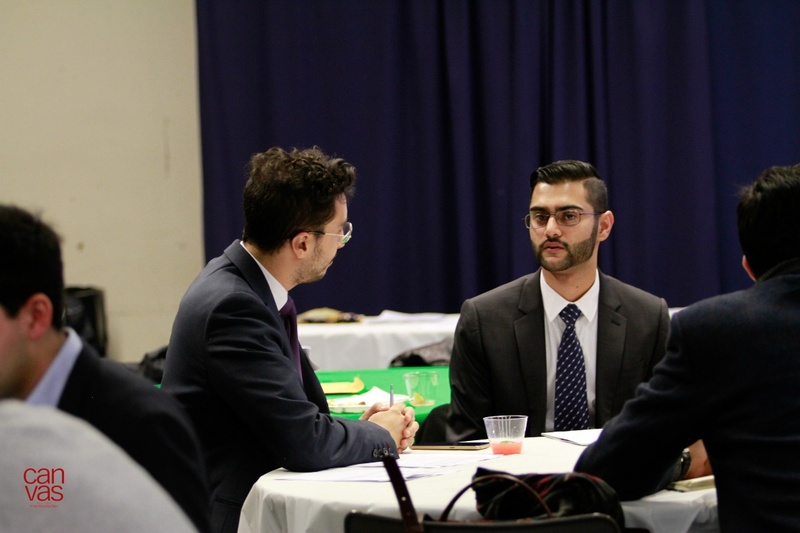 I look forward to finding more opportunities where I can provide Muslim students the opportunity to meet the many successful Muslims professionals we have in our organization. I thank all the facilitators, club volunteers, and events staff who have made this program possible. May Allah (swt) reward you for your hard work both in this life and the hearafter. Each month, Muppies features an event hosted by one of our Local Committees. Muppies has Local Committees in various cities across the world. This event occurred in Month of Year in City. The opinions in this piece do not necessarily reflect the opinions of Muppies, Inc.